This online video course will teach you simple and powerful techniques to read, write, sing and play music rhythms found in music scores. 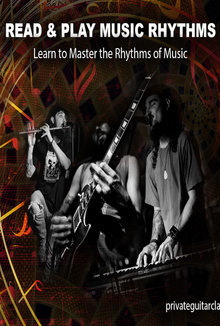 The course contains detailed explanations, musical dictations, practice exercises & progress tests designed to help you save time, money and make learning music rhythms easier. Suitable for all ages, all instruments and people who want to understand and share musical ideas with other musicians. Accessible anytime on mobile or desktop with an internet connection for USD $ 50 ≈ SGD $ 70. Seth Roach teaches how to read, write, sing and play music rhythms commonly seen on sheet music.